West Dublin is getting another two new Garda cars on top of the 12 already brought in this year, local TD and Minister for Health Leo Varadkar has confirmed. 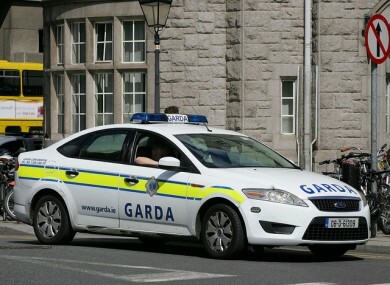 “I’m delighted to confirm that West Dublin will have a total of 14 new Garda vehicles this year. This will really help our fight against crime. “Twelve cars have been issued to Dublin West so far this year with two more due to be issued in the coming weeks. Local Gardaí will really benefit from these new vehicles, which are part of the Government’s comprehensive plan to fight crime. “As well as increasing the number of Garda vehicles, we are bringing more Gardaí out from behind the desks and out onto our streets. “We are also strengthening An Garda Síochána for the future by reopening the Garda training college in Templemore. When Fianna Fáil closed Templemore during their disastrous last term in Government it seemed to sound the death knell for Garda training. It is great to see Templemore rejuvenated again with 300 new students entering the college last September and another 250 recruits starting their training this year, bringing the total to 550. “As well as strengthening our Garda force and increasing the numbers of vehicles, the Minister for Justice, Frances Fitzgerald, is bringing in legislation to strengthen our response to burglaries. Too many people have had their homes violated and the proposed measures include longer sentences for repeat offenders. “In a move to support the victims of crime the Minister is also planning to bring in legislation to allow for implementation of the EU Victims Directive, and new Garda Victim Support Offices will be established in every Garda division. “With these practical measures and far reaching reforms we are going to show criminals how seriously we are taking the fight against crime.